Got a new work laptop yesterday, and while I was in the process of copying my stuff over from the old one, I remembered I’d have to setup Quicklaunch again, so I though this time I’d take a bit of time to document the process. 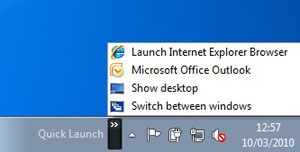 Quicklaunch was a nice feature in Windows XP,but Microsoft hid it in Vista and have continued this trend with Windows 7 and 8. As it’s a feature I rely on all the time, then it’s part of my normal Laptop rebuild to put it back on again. 1. 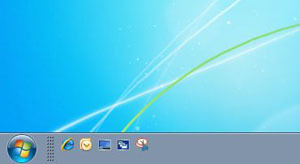 Here’s the default Windows 7 Task bar without anything. 2. 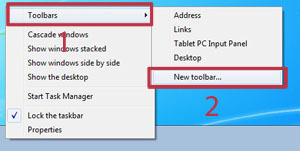 First thing we need to do is right click the Task bar and select Toolbars > New toolbar. 5. 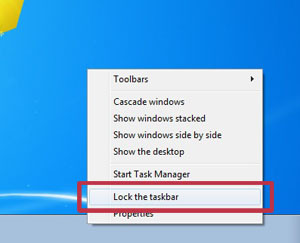 To get it shifted we need to Right click the Task bar and click “Lock the Task bar” so it is UNTICKED. 6. 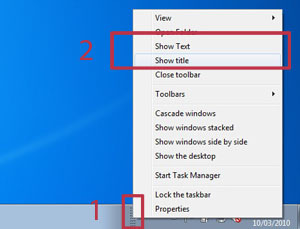 Now on the Task bar you should see some “dotted dividers” on the Quicklaunch toolbar > Right click the divider, and un tick “Show Text” and “Show Title”. 7. You can now “Click and Drag” the toolbar to the left hand side of the task bar (Click and drag on the dotted divider). 8. If you have any Icons in the way pinned to the task bar you can right click and “unpin” them. 9. 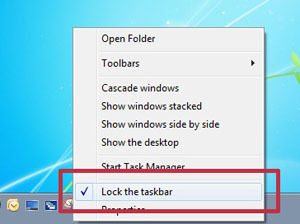 Finally to remove the dotted Dividers, and re-lock the task bar, simply right click it and re-tick “Lock the Task bar”.